If you’re running an online business, brick-and-mortar small business, or an kind of business, you need a way to stay in touch with your prospects and customers. 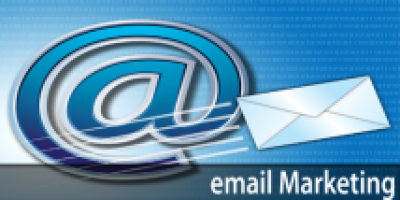 email marketing is a great way to connect with your prospects. And since every single person in the world has an email address, building an email list is one of the cheapest, most cost-effective solution for doing that. When’s the best time to get started? Right now. Don’t wait for a “bribe.” Don’t wait for things to look perfect. Start building your Email Marketing list today. Email Marketing is an easy, effective, and highly affordable way to get your message out to your customers, clients, or members. You’ll create high-impact, professional-looking emails—quickly and with no technical expertise. And, most importantly, you’ll build strong connections with your audience that lead to referrals, repeat business and loyalty. for small business owners interested in leveraging website design and integrated social media marketing to grow their business and to keep ahead of the competition. SeashoreWeb Website Design & Social Media Marketing.